Joker stands out with his unique coloring. 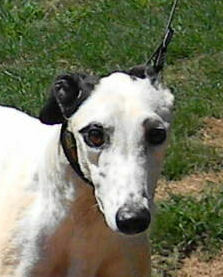 He is mostly white, with one black ear, one black-n-white spotted ear, and a black circle around his right eye. 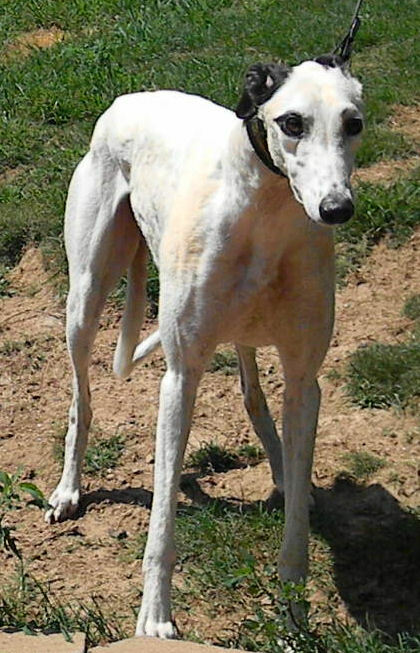 While he gets along well with the other Greyhounds and wants attention, he is somewhat timid. Since he is still Just a pup, he needs to build up his self confidence. Joker never raced.